Some San Francisco residents might find it difficult to imagine places like Fort Funston and Ocean Beach without dogs running freely along the coastline. But that vision may change if the Golden Gate National Recreation Area adopts a proposed plan that would limit where dogs are allowed off their leashes in San Francisco parks. 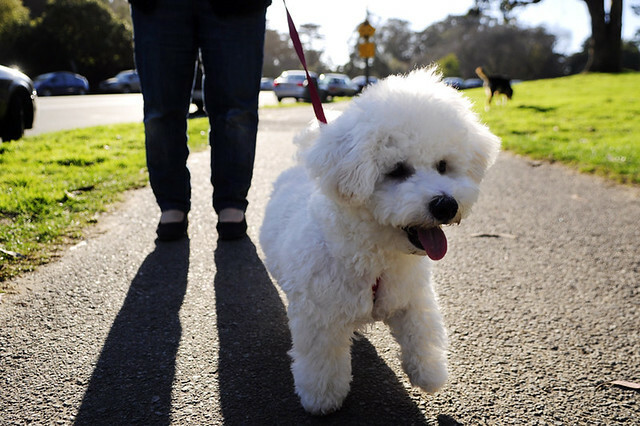 GGNRA spokeswoman Alexandria Picavet said the intent of the plan is to balance the desires of both types of park visitors: those who enjoy bringing and being around dogs and those who do not. Some dog owners, however, are unhappy with the proposal. Martha Walters, co-founder and chair of Crissy Field Dog Group, said the plan is restrictive. The GGNRA encompasses parks from Marin County to Half Moon Bay. The Draft Environmental Impact Statement includes alternative plans to the current dog-walking policy within the parks. The GGNRA prefers an alternative plan that would restrict off-leash access to various sites and would ban dogs completely in certain parts of Fort Funston and on the area of Ocean Beach south of Sloat Boulevard. Keeping dogs healthy is mandated by a San Francisco health code that requires owners to provide all dogs with adequate exercise. Off-leash access is key in that regard, according Suzanne Valente, a member of the Ocean Beach Dog Owners Group. The benefits of off-leash access are not only for the dogs, but also for owners as well, according to Valente. Valente said that people who are against off-leash access have misconceptions about the fierce nature of dogs. “People think off-leash is like dogs running wild or mayhem, and it’s people playing fetch or running with their dog,” she said. The concern for management of dog activity in the Bay Area began with the 1979 pet policy, according to Picavet. “It isn’t a law or rule; it was a recommendation and was what we operated under for a long time,” Picavet said. In 2000, a lawsuit was filed against the GGNRA when part of Fort Funston was closed to the public. The court declared the National Park Service had not adequately obtained public comment as required by federal law in order to close the area. In January 2001, the GGNRA acknowledged that federal law prohibits dogs to be off-leash in national parks, which sparked the debate over the current dog policy. Picavet said that GGNRA’s off-leash program is unique in comparison to other parks. “We’ll be the only national park to offer off-leash areas for dog walking,” she said. Stephen Sayad, the attorney for OBDOG, said that the GGNRA is trying to turn the parks into something for which they were never intended. The GGNRA has said one of their environmental concerns involves the preservation of wildlife, including the endangered western snowy plover, a small sparrow-like shore bird that frequents Bay Area coasts. But off-leash proponents contend that dogs are not the sole contributor to the plover’s dwindling numbers. Currently there is a 90-day open comment period on the proposal that lasts until April 14. The GGNRA is expected to formalize the final plan in coming months. Picavet said that at the end of the comment period the organization will review the feedback and address concerns in a final statement. Open house GGNRA meetings on the proposed plan will be held March 5 from 11 a.m. to 4 p.m., at SF State in the Seven Hills Conference Center and March 7 from 4 to 8 p.m. at Fort Mason Center Building A Conference Center. Other meetings will take place in Pacifica and Marin. Comments can be made on the National Park Service’s website at http://parkplanning.nps.gov/.